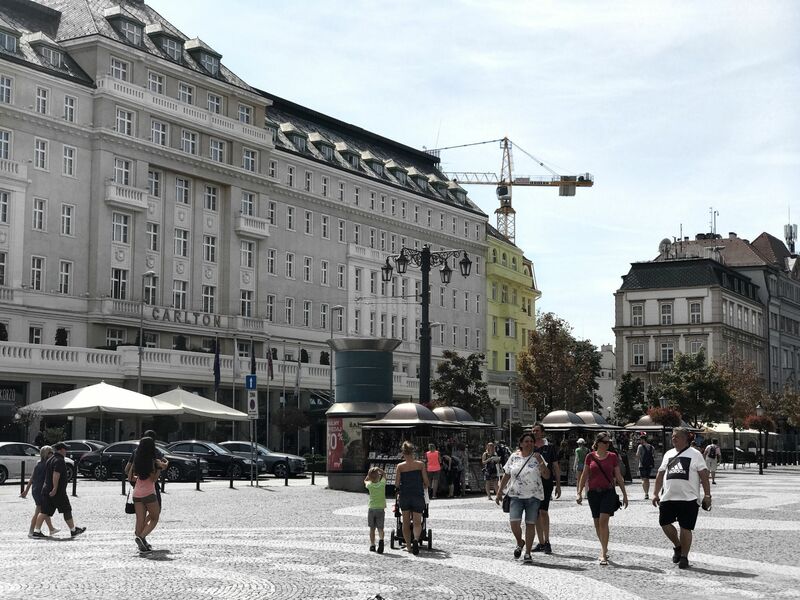 As I explained in my outfit diaries from last week, I have been to Vienna recently. I must say that even though it is not my favourite city, I really enjoyed it and you should visit it someday. Just in case you decide to follow my advice, I thought it could be a good idea to write a small city guide with my favourite things to do and places to visit. However, there are plenty of other activities that you can do there, especially if you like history and museums. I hope you find this post useful or at least I hope it makes you want to travel more, which is always a good thing. I am going to start by recommending the hotel I stayed at. It may not be the most amazing hotel ever, but it is definitely a really good one. The staff was always very nice and ready to help us whenever we had a doubt. The hotel is extremely old but it’s kept in a really good condition. I normally prefer more minimal hotels, but it was nice to stay at a viennese style hotel. You can even find little expositions in each corridor with old books, cups and that sort of things, so you can learn a bit more about the history of the hotel. Apart from all of this, it is important to say that it is quite central. It is right next to Votivkirche and you’ve got Schotentor station on the other side of a small park. I know this is obvious, but I highly recommend going for a walk and seeing the Parliament, the Town Hall and, of course, the Opera House. All of them are worth a visit and they are close each other and even other places of the same kind. If you can, I recommend that you join a free tour as I did in Dublin last year. Unfortunately, I couldn’t join one this time because free tours were only available in English and German and my parents speak Spanish only. I feel like it is important to try new food when you go abroad. One of the most famous dishes in Vienna is the schnitzel, which is basically a piece of fried meat. It’s quite good and normally quite huge too, but it is definitely not the healthiest meal. 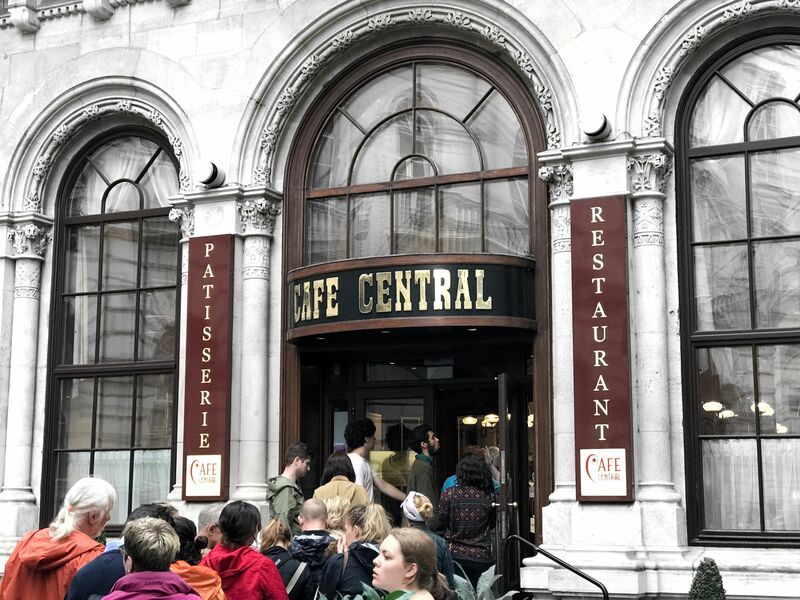 If you want to try it or any other viennese dishes, Café Central is a very good option. It is full of tourists, I must warn you, and it is not the cheapest restaurant. However, the quality of the service and the food is really good. If you don’t want to eat there, you can have an eiskaffee, which is basically coffee with ice cream and some cream. Oh and don’t forget to try the cakes. They are delicious! My favourite one was the ‘Peanut Surprise’, which has some caramel and peanuts, but the famous one is ‘Sachertorte’, a cake made of chocolate and other delicious stuff. Prater is a very old theme park in Vienna’s city centre. I really recommend going for a walk at least, as you don’t even have to pay to enter. You will only need to pay for the rides, so it’s perfect if you don’t like them but you still want to see the park. The most famous attraction is the old giant wheel. The views are incredible, so you should definitely consider going up there. You can also find Madame Tussauds, just in case you are interested. I think Prater was probably my favourite place we visited as I had a lot of fun, although it is one of those places that you should go to with your friends. There are quite a few palaces in Vienna and all of them are beautiful, but Schönbrunn Palace was absolutely amazing. The inside of the palace was very interesting to visit and to learn from, but the most impressive thing about it is by far the garden. It is bloody huge and the visit can last for even four hours. 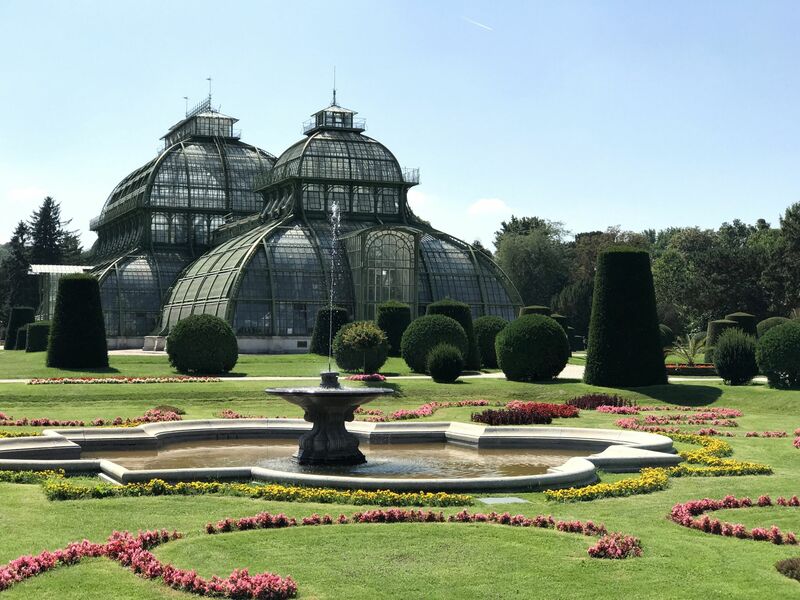 There is a maze, some botanic gardens and even the Zoo of Vienna inside it, just so that you can figure out how big it is. You definitely need to go and explore it, but be ready to walk a lot and get your feet dirty. If you want, you can even have lunch there and it isn’t too expensive. 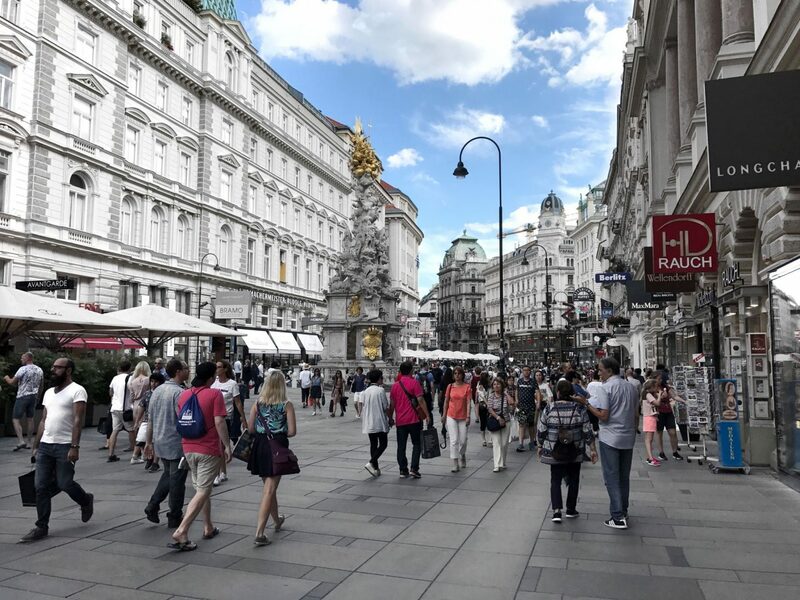 Graben is one of the best well-known streets in Vienna. It is perfect to do some shopping, unless you don’t want to spend all your money there. You can find shops such as Gucci and Louis Vuitton, and also Zara and H&M. Btw I don’t know why I went into Gucci and had a look at the sneakers that I want… I want them even more now… I could resist the temptation but it was really hard. I accept donations in case you are feeling generous. Anyway, you need to walk around those streets and spend some money. Don’t forget to visit the cathedral, which is right there too. I know this is not exactly something to do in Vienna, but you need to visit Bratislava. It is in fact in Slovakia, not Austria, but it is just an hour away by train. You can get the train from Vienna’s Hauptbanhof and it costs around 16 euros. Bratislava is a really beautiful city and I loved it, although Vienna is more beautiful in my opinion. It is true that it is quite small and that I wouldn’t spend more than a day there, but I strongly recommend the visit. You can see how different everything can be even though these cities are very close. As I said before, there are so many other things for you to do there but these are the ones that I enjoyed the most. 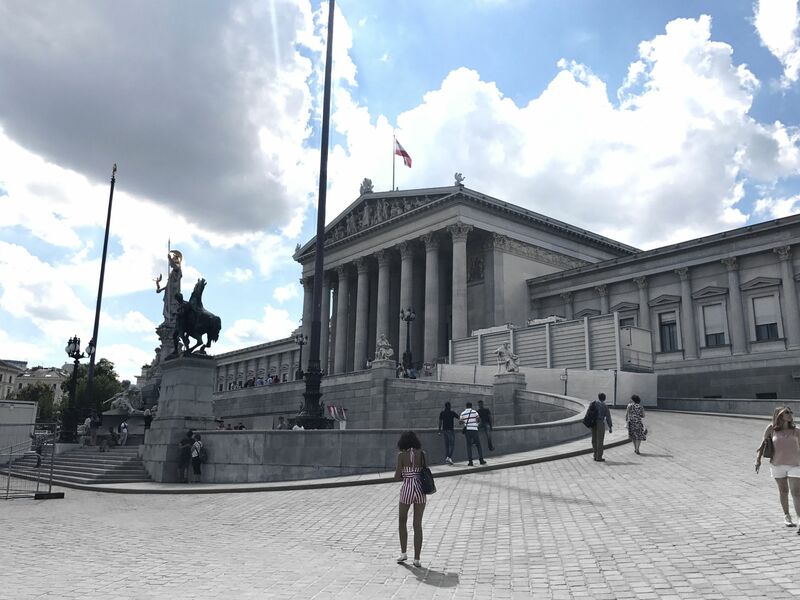 I would love to know if you have ever been to Vienna and what you think of it. Also, let me know where you have been this summer or where you are going in the next few months. I already have a list of countries I need to visit but I’m sure you can share with me even more amazing places. Next Post Should Men Wear Makeup? Thankyou for making this post, so happy I found it! I’m visiting Vienna in December and I’m so so excited!